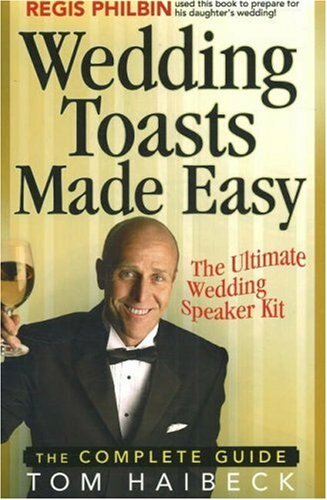 "Wedding Toasts Made Easy" is often called "The Bible of Wedding Toasts" because of its wealth of trusted, comprehensive guidance on how to research, write, practice and perfect a wedding toast. The book offers a highly unique approach, as author Tom Haibeck takes readers by the hand and walks them through each step in the process of preparing a wedding toast. It's concise and filled with wry humour and excellent advice. It also offers a treasury of wedding-related quotes and humour, innovative ways to deal with stage-fright, and a bonus section on the duties of the Best Man. If you have any questions about this product by Haibeck Group, contact us by completing and submitting the form below. If you are looking for a specif part number, please include it with your message. Be the Best Best Man: And make a stunning speech!